Could Gowanus become another DUMBO? Broker Bob Klein thinks so. The gritty but oh-so-cool neighborhood will see the pace of development pick up now that Whole Foods is opening its doors at Third Avenue and 3rd Street, the senior broker at Kalmon Dolgin Affiliates predicts. “I’m getting calls from tenants moving out of DUMBO due to $50 per-square-foot rents,” he said. 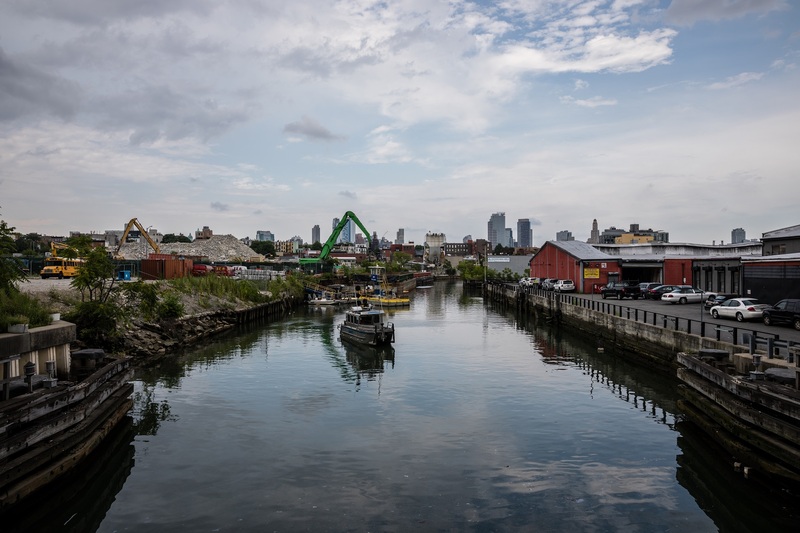 There’s a surge of interest by tenants and property purchasers in the industrial neighborhood on the banks of the notoriously toxic Gowanus Canal – which has legions of fans who ride its waters with the Gowanus Dredgers Canoe Club. The soon-to-open Whole Foods already has noteworthy neighbors. An acclaimed restaurant, the Pines, serves up dandy dishes like $32 venison sirloin at 284 Third Ave. Landlord XO Projects, led by architect Nathan Elbogen, operates studios for more than 300 artists and artisans at the Old American Can Factory at 232 3rd St.
Properties on the market near Whole Foods include industrial buildings at 386 Third Ave. and 407 Third Ave., which belong to long-time neighborhood landlord Richard Ribellino. A weed-choked lot at 399 Third Ave. sold for $1.95 million last year. Mukeshkumar Patel plans to build a six-story, 58-unit hotel there. His firm operates Hotel Le Bleu on Fourth Avenue. At 465 Carroll St., a four-unit residential building that’s under construction has a penthouse with “skyline views,” a sign at the site says. The developer, an LLC led by Vincent Blandino of Weichert Realtors – The Franzese Group, bought the vacant lot on which it’s being built for $700,000 in 2008, city records show. An LLC associated with Gorilla Coffee bought 498 President St., the building that housed D’Amato Printers & Lithographers, for $1.15 million last year, city records indicate. A coffee shop and coffee-bean roasting facility are in the works. “I shake my head at what warehouses are renting for,” said Klein, noting that Gowanus commercial space was $6 per square foot 15 years ago. Now, office rents for “creative tenants” run in the low $20s per square foot – and could be $25 to $30 per square foot in a year, he predicted. Retail spaces are going for $35 per square foot – and could hit $50 per square foot in a year, he said. At 529 Third Ave., which he reps following its sale last August for $7.25 million, there are leases out for 30,000 square feet of office space; just 8,000 square feet remains available. There’s 15,000 square feet of retail space, with a restaurant operator negotiating for 5,000 square feet of it.